Our lowest price posted on every vehicle, every day. The buying experience from start to finish is painless unlike most other dealerships. One person will take care of the whole process and there's no haggling involved.Although, I ended up unsatisfied with my new Camry since it has more wind noise, when going fast, compared to my previous cars. I also learned that you can't return a new car if you are unsatisfied with it or if it has any issues.I did two "diagnostic drives" with different techs. On the first drive, they couldn't hear the wind noise while the second drive's tech did manage to hear the wind noise.We also test drove another Camry SE that has similar wind noise thing going on. I'm unsure if the whole Camry line has this issue, of the driver's side has more wind noise than the passenger's side, or these are just two oddities.The service manager said that it's a normal thing for Toyota Camry and it's not covered under the warranty. I contacted Toyota HQ and gave my feedback regarding the wind noise situation with Toyota Camry. Hopefully, they'll fix this in the future on the new iteration. They have to if they want to maintain their reputation.In the end, I do appreciate John Scott trying to help out, even though he couldn't do much about the issue I'm having. I have to dock one point from my review since this whole situation could've or might've been avoided if we test drive the car on the highway or roads with higher speed limit.Maybe Wilsonville Toyota should recommend buyers to test drive on the highway. It'll also build more positive relationship in the long run if the dealership also look out for their customers before they finished the deal. At the moment, It feels like the customers have to watch out all the important things by themselves without a safety net. I’ve been a Toyota owner for more than 14 years and have worked with different Toyota dealers for the maintenance of my vehicle throughout the years... 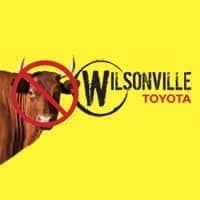 I recently joined Wilsonville Toyota and I am extremely impressed with the quality of their work, attention to detail, and overall customer service skills. To all the folks at the Services & Maintenance Department, my gratitude and respect in particular to Steven and Sebastian. These young men go above and beyond to ensure everything is done right and are example of service and commitment to customers. Thank you guys!! Everything was fine until I discovered that floor mat was not added on the truck I bought last Saturday on 4/20/19. It was an unique experience. Want to keep your new Toyota truck, car or SUV running smoothly and efficiently for years to come? We do as well, and that only requires visits to our Toyota service and auto repair department in Wilsonville, OR for routine maintenance. Our technicians are skilled and experienced on all of our models, and we proudly serve the entire Wilsonville and greater Portland, OR area as well. It’s not a marketing slogan. It’s how we define our entire customer-focused culture. From the way we price our cars to the way we greet you in the service drive, every moment of your interaction with us is considered before your arrival. Then we discuss, design, and refine our in-store processes to be transparent and driven by you. Everybody gets our lowest price, every time. No Bull.